The Metro Council will meet Tuesday, February 7th, 2017 at 6:30 PM in the Council chamber at the Metro Courthouse. Council meetings are really boring and I watch them so you can be a well-informed citizen of our city and still not have to watch the council meetings. If, however, you are going to watch the council meeting, you really need the agenda and the Council staff analysis, otherwise you will be clueless about what is going on. Follow the highlighted links above to view the agenda and staff analysis. With 39 bills on Public hearing, this could be a long meeting. Below is my commentary and analysis. There are three appointment to Boards and Commissions on the agenda and you can expect all to be approved unanimously. There are two resolution on public hearing to grant an exemption to the minimum distance requirements for obtaining a beer permit. These are usually routinely approved. BILL NO. BL2016-449 is a rezoning in Councilman Scott Davis's district and it has not yet been considered by the Planning Commission. I am simply calling attention to this bill because Councilman Scott Davis was the subject of a recent Tennessean article on the topic of "councilmanic courtesy" that noted Councilman Scott Davis had had more disapproved bills, approved by the Council than anyone else. The piece noted that a firm that benefited from these rezonings had made financial contributions to Councilman Scott's campaign. Being the subject of scrutiny by The Tennessean does not prove wrong doing. I wonder if The Tennessean has looked at Mayor Barry's list of contributors t to see if any of them do business with the city. I would bet they would find that many have. "Councilmanic courtesy" is what some call it anytime the Council votes contrary to a recommendation of the Planning Commission. The implication is that when faced with a disapproved bill, as a courtesy to the district councilmen, council members vote with the district councilman just assuming he knows what is best for his district. When I was serving in the council, I did not always vote against a bill simply because it was disapproved by the Planning Commission but neither did I always vote for a council member if he was pushing a disapproved bill. I tried to weight the merits of the rezoning and gave weight to both the PC recommendation and the councilman's arguments. I think the recommendation of the Planning Commission should be taken very seriously, but it is not wrong to vote against the Planing Commission either. If the Planning Commission was never to have bills pass that they had disapproved, then why not just make the Planning Commission the final authority? A disapproved bill requires 26 positive votes to be approved. That is a reasonably high bar. Since The Tennessean called attention to Councilman Davis's number of disapproved bills that have been approved, I am sure the press and neighborhood activist will be paying closer scrutiny to bills in his district, especially disapproved bills. BILL NO. BL2016-491 requires that building façades fronting a street shall provide a minimum of one principal entrance (doorway) and a minimum of 25% glazing. Glazing means glass work. That seems awfully restrictive. Some owners building their dream house may not want a front door or that many windows. This would seem to stifle architectural creativity. I don't think there is necessarily merit in all housing looking alike. I would have to hear a good argument as to why this is necessary before I could support it. I emailed the sponsor asking for an explanation some time ago and never did get a response. This bill was on the Jan. 4th agenda and the sponsor was absent and the bill was deferred to this meeting. SUBSTITUTE BILL NO. BL2016-493 is the sidewalk bill. It tightens up the requirements that developers build sidewalks. Under this bill, under certain circumstances a developer of a duplex would have to build a sidewalk in front of the house even it there was no other sidewalks on the street. It makes it more difficult for a developer to pay an "in-lieu" fee instead of building sidewalk. This bill was on the Jan. 4th agenda and deferred to the this meeting. SUBSTITUTE BILL NO. BL2017-555 in council member Murphy's district changes the zoning on a bunch of parcels totaling 39 acres from R10 and RS40 to RS10. A zoning with "S" means duplexes are prohibited. I think the Planning Commission should adopt guidelines to discourage this type rezoning. Nashville is rapidly growing. To support affordable housing and public transportation, we do need to pass legislation making Nashville less dense. This is a bill disapproved by the Planning Commission. BILL NO. BL2017-559 would allow members of the metro council to initiate rezoning of property owned by the metropolitan government. Now the mayor may do so or department heads but not the district councilman. I can see the merits of this. If a piece of Metro property was to become surplus, it seem reasonable that the district councilman should be able to initiate a proposed zone change. RESOLUTION NO. RS2017-519 approves a sole-source contract for over a million dollars for a five year period between Metro and Host Compliance, LLC to provide services to identify unpermitted STRPs, collect data on the extent of all such non-compliance, estimate rental activity for permitted and unpermitted properties, compare estimated rental activity with hotel/motel tax receipts from the property, and maintain a 24 hour complaint hotline. This is basically computer technology and tech support. 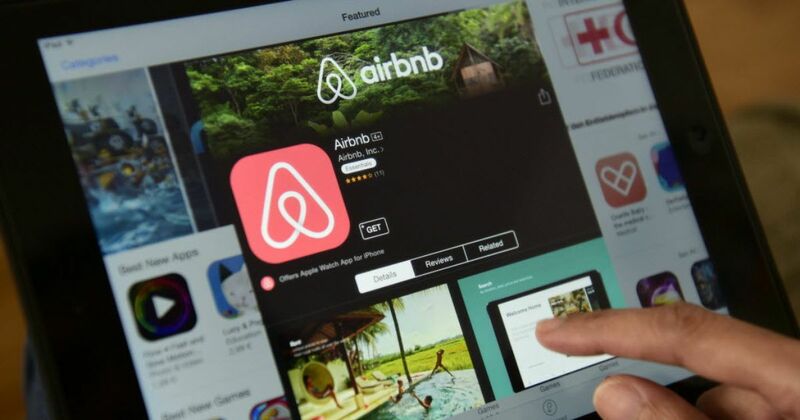 The system will monitor on-line sites such as Airbnb and then compare those Nashville listings on the sites with permits and hotel-motel tax payment records. This may bring in additional revenues to offset the cost. This was on the agenda on January 4th and deferred to this meeting. As it turns out The city almost awarded a $1 million sole-source contract when the chosen vendor was not the sole source. Councilman John Cooper is to be commended for his work is stopping this from happening. Since then, a Request for Proposals (RFP) has been submitted and this bill will be withdrawn. RESOLUTION NO. RS2017-536 authorizes grants of $8,339,401.00 from the Barnes Fund for Affordable Housing to certain nonprofit organizations to construct affordable or workforce housing. Agencies getting the funds are these: $4,579,110 to Urban Housing Solutions,Inc. ; $3,500,000 to Woodbine Community Organization; and $260,291 to Dismas, Inc. Finally, it is OK to admit General Hospital is a loser. RESOLUTION NO. RS2017-539 appropriates $540,000 for the cost of operation of the J.B. Knowles Home Assisted Living Facility. 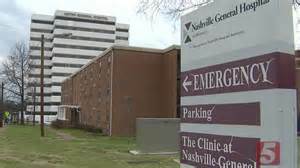 We were almost out of the nursing home business but the operator of the facility mismanaged the operation and metro stepped back in and took it back over. In recent council action the Council passed RS2017-540 that canceled the lease agreement with the management company than manages the Autumn Hills nursing home and it also rescinded the Council’s approval of the Purchase and Sale Agreement between Metro and the Vision Real Estate Investment Corporation for the sale of the 76 acre property. For more on the issue follow this report from News Channel 5: Council Begins Process To Get New Autumn Hills Management. RESOLUTION NO. RS2017-553 is a memorializing resolution putting the Council on record approving of Governor Haslam's propose gas tax hike. There are 30 bills on First Reading but I don't know what's in them. First Reading is a formality that gets bills on the agenda. They are not discussed by committee until after First Reading. Almost always, bills on First Reading are lumped together and pass by a single vote. I do not examine bills on First Reading. BILL NO. BL2016-484 would make it more difficult to locate landfills, solid waste disposal facilities and solid waste processing facilities in Davidson County. It adopts a state standard for approval that is already established as an option for local governments. Included in what this would do is it would require Council approval of "the plans" for such facilities not just the location of the facility and it would require approval by ordinance, not just a resolution, and it would establish criteria for evaluation. This was previously on Second Reading and deferred to this meeting. BiLL NO. BL2016-461 requires employees of Metro to report fraud and unlawful acts committed against the Metropolitan Government to the Metropolitan Auditor. There is already a State law that does something similar. This was on second reading last time and deferred to this meeting. This was on Public Hearing last council meeting and there were a lot of people speaking in favor and a whole lot more in opposition. Those in support were mostly short-term rental hosts saying they support the revised ordinance. Those in opposition said the bill does not go far enough. Some argue that STRP drive up local rental rates by taking what would be rental units off the market. Others complain of living next door to these units where people make excessive noise and party all night. One speaker talks of orgies taking place. I would have to see that to believe it, but that is what is was said. Many of the speakers want type three STRP amended out of the bill and prohibited. Some want type two and three taken out and a few want all STRP banned. A lot of the opposition is organized. 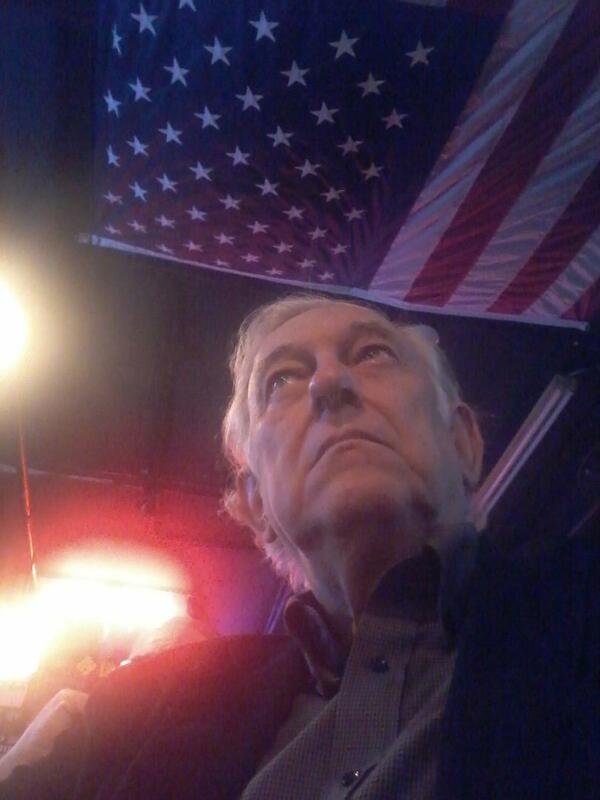 Among those in opposition were neighborhood activist John Summers and John Stern. Councilman sledge made arguments against the bill as did Councilman Weiner, Elrod and Glover. Glover made the motion to defer the bill two meetings which passed and that put it on this agenda. I expect amendment to be offered to prohibit type two and type three STRP. To see the discussion at the public hearing see timestamp 38:14- 2:50:52 at this link. To see media coverage of this issue follow these links: WSMV, Nashville Airbnb fans, foes collide at Metro Council ... and The Tennessean, Nashville Airbnb fans, foes collide at Metro Council. The staff analysis does not mention proposed amendments that would ban type 2 and 3 STRP what is being called "investor-owned" properties but I expect amendments to that effect to be offered. Also their may be offered an amendment to impose a moratorium on the issuance of new STRP permits. If I were in the Council, I would oppose either type amendment and if they passed I would vote against this bill. If the Council does ban STRP, there is a possibility, the State legislature will take up the issue and pass uniform STRP regulations for the state of Tennessee. I would not be surprised to see this bill deferred again. For more on this issue see these links. BILL NO. BL2016-496 would prohibit vehicles from parking in electric charging station spaces. This was on Second Reading twice before and deferred to this meeting. I have been tempted to park in those spaces myself but have not done so. I am curious how much revenue the city is losing by having these reserved spaces. I have never seen a car charging at them. I wonder how often they are used. Instead of making it a penalty to park in these spaces, I would think the charging station spaces should be turned back into parking spaces. BILL NO. BL2016-525 would require the Metropolitan Police Department to provide reports of positive engagements with the community to the Metropolitan Council. This got a negative recommendation in committee and at the last meeting the sponsor moved to defer to this meeting. Bills on Third Reading: This is the only one of interest. BILL NO. BL2017-542 is a bill requiring companies that provide incarceration services to Metro to have the specific contract approved by the Council. Metro Coucil does not normally approve specific contracts. Only contracts for solid waste disposal currently have to come before the Council. This bill also requires the company providing the service to provide to the Council a quarterly report detailing a massive amount of data. This appears designed to make it difficult for the city to do business with companies that provide this service. Metro employees always oppose outsourcing and it a contract for this service has to come before the Council then there will be organized efforts to defeat it. The sheriff is an elected official. The Council has to vote on the sheriff's budget. That seems like sufficient safeguards.. This seems unnecessary and designed to end Metro's contracting for incarceration services. I oppose this bill. To watch the Council meeting, you can go to the courthouse and watch the meeting in person, or you can watch the broadcast live at Metro Nashville Network's Government TV on Nashville's Comcast Channel 3 and AT&T's U-verse 99 and it is streamed live at the Metro Nashville Network's livestream site. You can catch the meeting the next day (or the day after the next) on the Metro YouTube channel. If can stand the suspense and just wait I will post the video hear and provide commentary.